Our professional trading strategies are now available on strictly limited subscription basis. For investors and professional money managers who are looking for consistent performance in this increasingly difficult environment with very low interest rate, our day trading strategies offer unparalleled advantage over classic investment vehicles and can be the star components you have been searching for your investment portfolio. 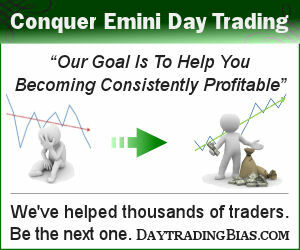 Each day trading strategy has its own detail description of what it does with comprehensive backtesting reports. Updates of the live trading results in our reference account will be posted regularly. No more trading fatigue. It is a well known fact that day trading discretionarily is an extreme competitive activity that one has to be in peak form both mentally and physically to produce good results. You may as well avoid trading all together if you know you are not in your peak condition after waking up. By employing our day trading strategies, you can focus on managing the strategies, not getting burn out in the process. Most important of all, the automated strategies always follow its rules and is ready all the time. Leave the overnight risk to others. There are many successful swing traders out there but they are also famous for the fact that they have to deal with very steep draw down over prolong period of time. It is a choice they made. By choosing day trading, you avoid that whole can of worms from market shocks to margin calls. Better performance stability than others realize. Through consistency in exploiting micro structure in intraday price movements, automated day trading strategies unlock the profit potential that other traders and investors would never see. Perfect components for low risk portfolios. Having a few “high-risk” components within an overall conservative investment portfolio is the secret that many family offices do not want you to know. Automated day trading is perfect for anyone who is willing to spend just a few moments to understand how it can improve the return of their portfolios significantly. Your own hedge fund without the steep capital requirement. Investing in hedge funds and quant funds has been a game for the high net worth individuals for a long time due to the requirement of significant upfront capital. Automated day trading does not need such hefty investment. You can start trading just one strategy with one contract. 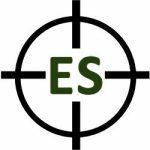 Big-Game Hunter ES is our conservative trading model that performs well in both bull and bear markets. It trades the E-Mini S&P only and do not trade outside of the regular trading sessions to avoid unnecessary risk during after hours trading. Big-Game Hunter manages to produce on average more than 50% return annually over the past 21 years. More trading strategies will be released soon.